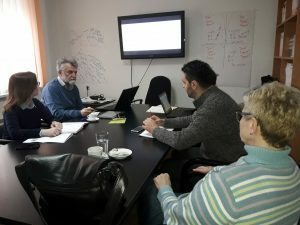 Within the project “Support to the governments of Republika Srpska and the Federation of Bosnia and Herzegovina in the fight against corruption”, supported by the British Embassy Sarajevo, team for preparation of the training program for implementation of the Law on whistle-blower protection in Republika Srpska held its third meeting on 23 February. Representatives of the RS Ministry of Justice, the RS Civil Service Agency and the RS Chamber of Commerce have completely agreed on all important elements of the training program, as well as on content of presentation which will be used at the training. The training program is intended for the RS administrative bodies, local self-government units and enterprises with at least 15 employees.